The Anglican Parish Church of Chelsfield, Kent, is dedicated to St.Martin-of-Tours. The earliest parts of the current church building were constructed in the 12th century. A tower and chapel were added in the 13th century, a porch in the 15th century, the current clergy vestry in the 19th century and the Brass Crosby Rooms in 2007. The Parish includes the Mission Church of Well Hill, built in 1890 as one of the string of Mission Churches for Hop Pickers in the Darenth Valley. The Parish is in the Deanery of Orpington, Archdeaconry of Bromley and the Diocese of Rochester. 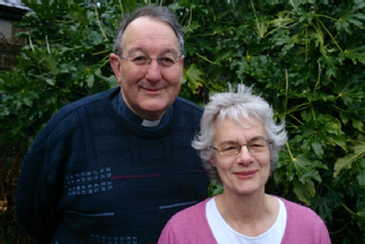 Our Priest in charge, The Rev John Tranter and his wife Janet, came to the Parish of Chelsfield, as Rector, in March 2014. John was Instituted on 1 March 2014. John was commissioned as Area Dean for Orpington in October 2014, a post her held until September 2018. John became Priest in charge of Chelsfield on 30 November 2018 upon the suspension of the post of Rector. St.Martins’ is listed on the Small Pilgrims Places Network website. More about Prayer & Worship.